What does the future hold for Kitchissippi’s corner stores? Earlier this year a new zoning amendment was proposed by the City of Ottawa that would allow for more “micro-retail” shops to open in certain residentially-zoned neighbourhoods and which would also permit existing corner stores to modify their use. At present, bylaws dictate that the zoning for existing shops in residential areas must immediately switch to residential use only once a shop closes, or the owner passes away. Several areas within Kitchissippi may be affected by the changes, which could be implemented as soon as April. We asked local historian Dave Allston to take a closer look at a few of the last remaining corner stores in Kitchissippi. Entering a corner convenience store is like a step back in time, to an era when communities relied on the shopkeeper to stock life’s essentials. It was a familiar place where the selection-to-square footage ratio was off the charts; where the person behind the counter was the same person you’d see every time, and whose very survival depended on the visits of his customers. This experience can still be had in Kitchissippi, but it’s threatening to become a thing of the past. The corner store, once an urban staple, has slowly been disappearing. Some of my favorite memories of childhood are of bike rides to the top of the street with allowance in hand, ready to make important budgetary decisions between comic books, hockey cards and Lik-M-Aid. A corner store was the promised land for kids, and an integral part of community life for adults. Sadly, this seemingly is no longer the case. Kitchissippi is down to its final 13 corner stores. Take away the chain shops, and you’re left with a couple on Gladstone, three on Wellington, two in Hintonburg, two in Mechanicsville, and one on Kirkwood. That’s it. This is half of what we had barely 20 years ago; a third compared to the 1950s. Over time, the type of merchants in our ward has evolved since Peter Paysant opened Richmond Road’s first general store in the 1870s. Butcher shops and small dedicated grocery stores arrived in the late 1800s. Large supermarkets appeared mid-century, and finally the superstores and franchise convenience stores in the 90s. Kitchissippi is a microcosm of most urban districts. New ideas are being considered to help save or re-enliven the trade, including permitting the sale of beer, and relaxing zoning restrictions (for a long time unless a shop was grandfathered in, rezoning a residential lot for commercial was difficult and costly). The City is looking at not only protecting established shops in residential communities, but rezoning additional parcels where so-called “micro-retail” could work. 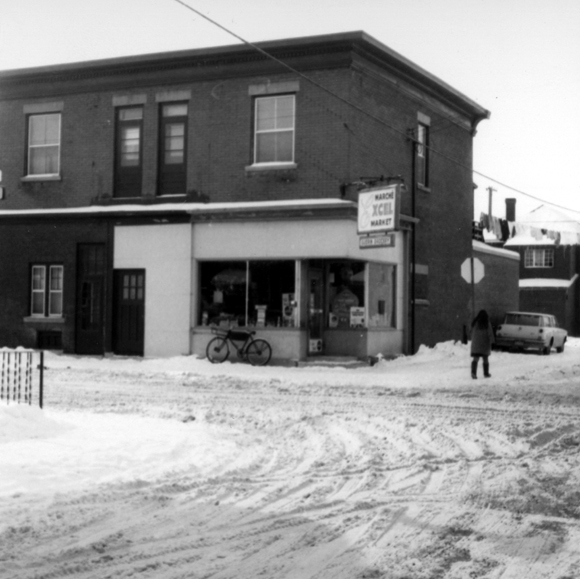 Kitchissippi’s oldest corner store is also perhaps the most hidden. Tucked away down quiet Garland Street in Hintonburg is a large, but simple corner store that has been in operation for 125 years. Delphis Raymond was one of Hintonburg’s pioneer merchants when he opened his shop at 46 Garland in 1890. 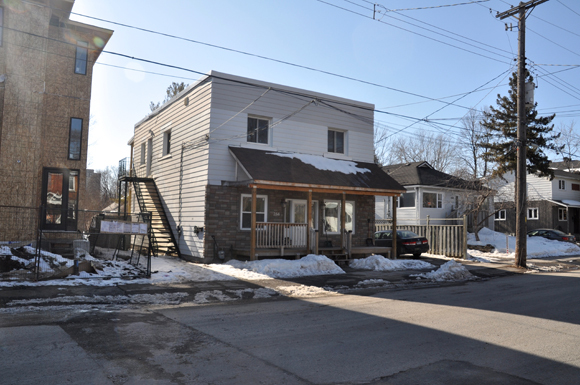 Back then, residents relied on the small stores which sold fresh produce, meat, dairy and eggs delivered directly from the farmers of Nepean Township up Richmond Road. 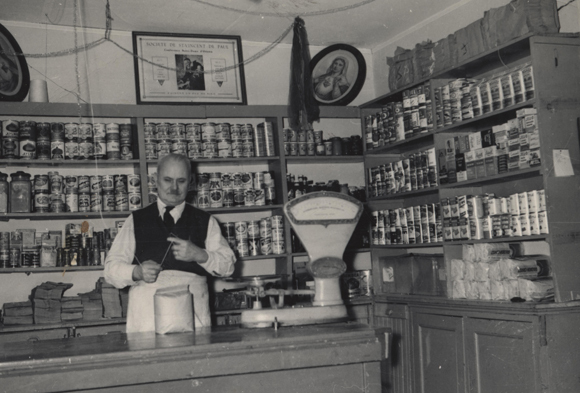 These stores were as integral for the farmers as they were for the customers. Raymond kept his shop open through Hintonburg’s growth years, before retiring in 1923. Groceteria veteran Phydime Lamoureux purchased the property from him, and continued operations through WWII. This shop became the Garland Grocery, and is now freshly renamed the Family Supermarket. New owner Jean Saintil purchased the business in late 2014 out of a love of running his own business. Saintil came to Ottawa from Haiti 18 years ago, and can list off the few times he has been outside the city. He came here by himself, without family or friends. He still has few friends, no time for extracurriculars. Church is important to him, and from the sounds of things, that is the only respite he has from work. After finishing a long day by himself at the store, he has another job elsewhere. “Work all the time, work all the time…” says Saintil. There is fatigue in his voice as his sentence trails off. But he is enthusiastic, and you can see in his eyes how much he hopes to succeed. He is also conflicted. He doesn’t want to sell beer, and it bothers him to sell cigarettes. “They are there, I sell them, because if you have a corner store, if you don’t have cigarettes, you don’t have business,” says Saintil. Saintil has been slowly renovating the store, improving not only the aesthetics and functionality of the shop, but the variety and quality of the offerings. I think Delphis Raymond would be proud. A little west down storied Ladouceur Avenue at Carruthers, one finds Charlie’s Groceteria, built circa 1920 (formerly Mozart Guerin’s and Nesrallah’s). Charlie Khaled was still a relative newcomer Canada by way of Lebanon when he opened in 1974, but has been worn down by the government. Most disconcerting is his humble admission that the store is losing money and that he uses pension money to pay the bills. He feels stuck, and powerless to change the system. When asked about the possibility to sell beer or wine, he says he has been wishing for this for years. “They’ve been talking about it going on 35 or 40 years, it’s never going to happen,” he says, even listing the dates and names of Ontario Premiers who have made these promises. He also feels the problems are not limited to the independents, that the chains are suffering the same problems. 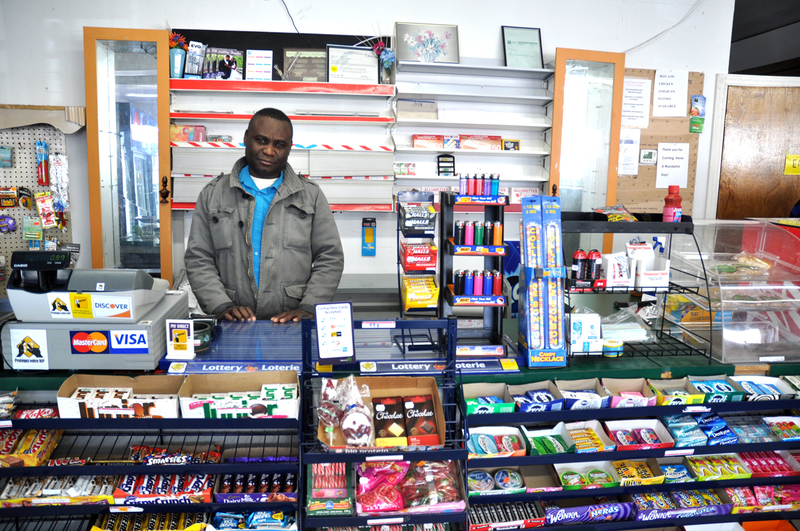 A generous and caring shop-owner, Khaled, despite his troubles, is still happy. “I love Canada, I love everything here,” he says. On Gladstone, The Fairmont Confectionery is going strong. Oliver McBain operated the shop from 1923 until 1940, when George Zahab (“George’s Corner Grocery”) took over until the mid 70s. This store notably has recently re-invented itself, adding Sam’s Café, a 10-seat Southeast Asian restaurant and takeout counter. Simply put, to remain viable, stores can no longer rely on the old standbys like cigarettes, magazines and candy. Societal factors (decreasing numbers of smokers, the decline of newspapers, people eating healthier, more cars) combined with political factors (higher taxes, and zoning restrictions) only worsens the pain for shopkeepers. Thankfully there are still those like Jean and Charlie who continue to give it a shot, giving us true convenience and a shopping experience that has existed in our ward for 150 years. It’s an experience and privilege we ought to cherish, for if they vanish, they will sorely be missed. Dave Allston is taking over the KT Early Days column. Look for it in the April 16 issue. Do you have special memories of your neighbourhood store? We want to hear them! Send your email to editor@kitchissippi.com.